Holiday in Barcelona, 18/10/08 - 22/10/08. We finally arrive at the Gaudi part of the park. 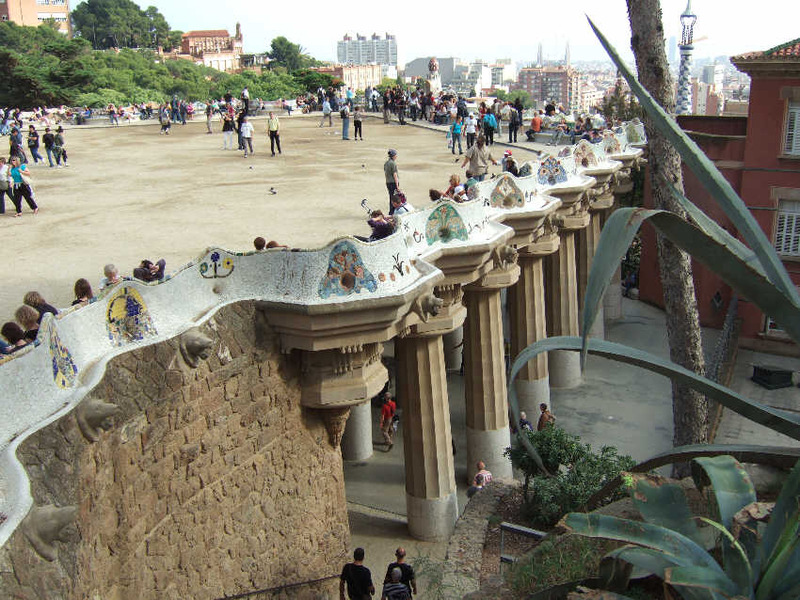 This huge stone balcony with its rounded seating clearly attracts a large number of tourists.